It is different enough. A few reveals that aren’t exactly as expected, and then a few turns in the movie that lead us down a slightly unfamiliar path. Many great choices in the script which should keep the viewer interested as well as entertained. I can’t even single out one actor who provides the majority of the entertainment – there isn’t a person for comic relief, but plenty of humour found throughout the film. Young Mckenna Grace is definitely put in the role of the child who steals attention away – she’s precocious for sure, quick-witted, and full of emotions. 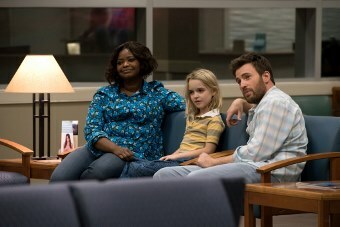 Mckenna Grace as “Mary Adler” and Chris Evans as “Frank Adler” in the film GIFTED. Photo by Wilson Webb. © 2017 Twentieth Century Fox Film Corporation All Rights Reserved. The choice of adult actors to surround Mary is stellar. In the supporting roles, Jenny Slate and Octavia Spencer provide both humour and heart in small doses. Their characters seem significant because the movie wouldn’t be complete without them, but at the same time, it’s not their story. It’s Mary and Frank’s story. Perhaps the best choice the movie made was to explore Mary and Frank’s characters through the actual plot of the movie. Very little time is wasted on back story or who they are – all of that is revealed and expanded upon during the court case, the aftermath, and at the beginning when we’re first thrust into their world. Their world isn’t wholly unique, but specific enough to have its quirks and charms, and realistic enough that it’s the same world the rest of us live in. Let me explain. It’s set in Florida, a small coastal town, moderately working class, not too far removed from a higher class society, but very far removed from the ivy league upbringing in Massachusetts. A setting that is both average and interesting. That point is further highlighted with a small but key point in the film: a kid is bullied by another kid, a third kid attacks the bully. We can all guess which kid was the only one disciplined. We all see that everyday in real life, and in its own minor way, Gifted is about those injustices. It's rarely heartbreakingly sad, but real enough to be dramatic, and cute enough to be entertaining. And because a review can’t be complete without mentioning it, Evans is great as expected. A quieter role than usual, but he can be funny without trying and effortlessly add depth to Frank when you least expect it – although that probably happens if you get lost in his eyes.